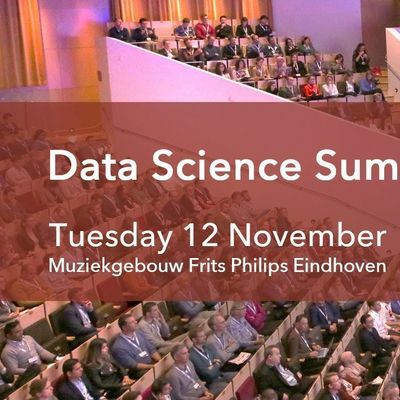 The Annual Data Science Summit Eindhoven, organized by DSCE, takes place in the Frits Philips Muziekgebouw in Eindhoven on Tuesday November 12, 2019. The goal of the summit is to show our interesting scientific research that is done in close cooperation with and inspired by industry. We will use the same format as the very successful edition of last year, so we hope and expect another full day. Also in 2019 we will have several excellent speakers, both from academia and industry. They will share the latest insights in various Data Science aspects, focused around our research programs. You will find ample time for discussion and hands-on idea sharing during the poster sessions, where you can see and discuss examples of Data Science methods and applications with practitioners. The Data Science Summit inspires and gives directions for solving your specific challenges. The day is aimed at a broad audience: from (research) specialists in the field to applicants and practitioners.